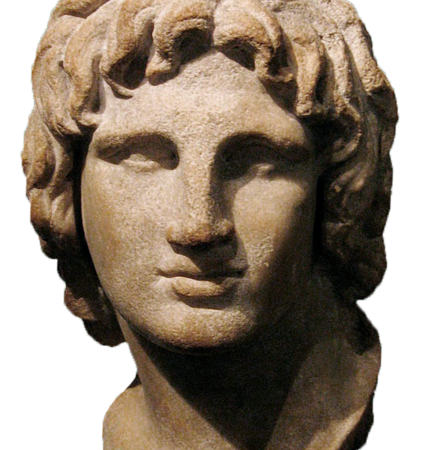 Alexander the Great was arguably the most extraordinary warrior of all time. Straddling his world like a colossus, his military conquests remain unrivalled to this very day. By age 20, he was crowned king. By 30, his rule would stretch from Greece to Persia and the distant Himalayas. He brought East and West together in the mightiest conquest the world has ever known. But much of the conqueror’s awe-inspiring legacy remains shrouded in mystery. With no eyewitness accounts and just a handful of second and third-hand reports to go on, the character of Alexander remains an enigma. Only 32 when he died, there is still the widest disagreement about his true nature and motive. Was he a vindictive, bloodthirsty conqueror or an idealist who brought Greek culture to distant lands? Did he, a pupil of Aristotle, try to live like his Greek heroes in the Iliad, or was he an insecure son trying to out-do his father at every step – even proclaiming himself a god? Was Alexander an inspirational general or a paranoid tyrant? In Alexander the Great: the Man Behind the Myth, we go on a quest to find the real Alexander and examine what moulded his actions and pushed him ever onward. 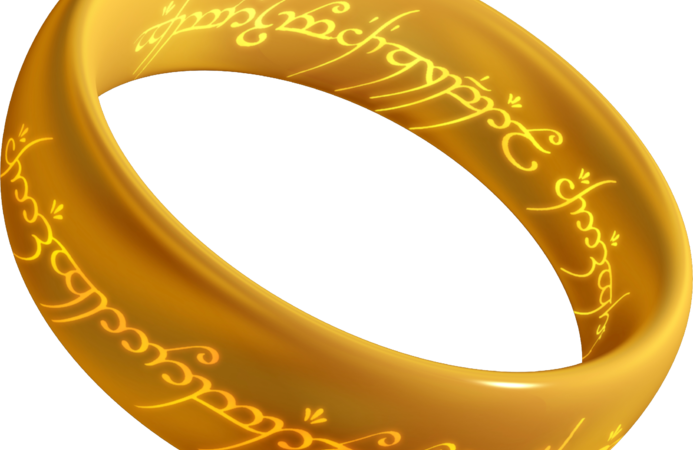 Part hero, part tyrant, part demon, part godlike figure, he still fascinates us more than 2,000 years after his death. His deeds have never been surpassed, but we ask if, in the end, through fearing no mortal, Alexander become his own worst enemy? Image by Andrew Dunn is licensed under Creative Commons Attribution-Share Alike 2.0 Generic. 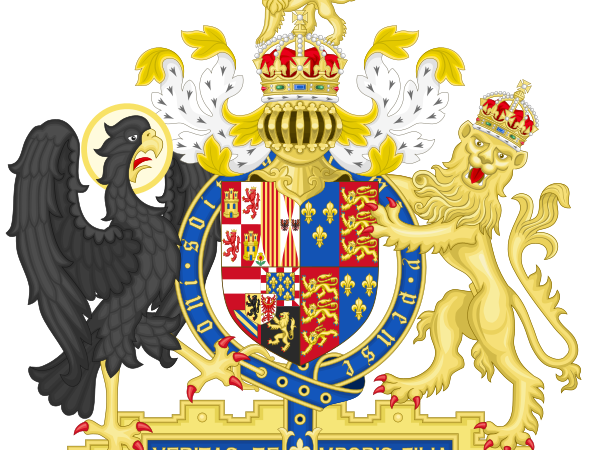 A few centuries ago, hereditary monarchs ruled the world, representing the dominant and most ancient form of government. Today, they exist in only 28 countries. Does the institution of the monarchy have any relevance in the modern, democratic world of the 21st Century? Profiling the lives of monarchies in Great Britain, Uganda, Nepal and Tonga, among other places, The New Royals provides a fascinating insight into the day-to-day lives of some of the world’s most diverse royal families. 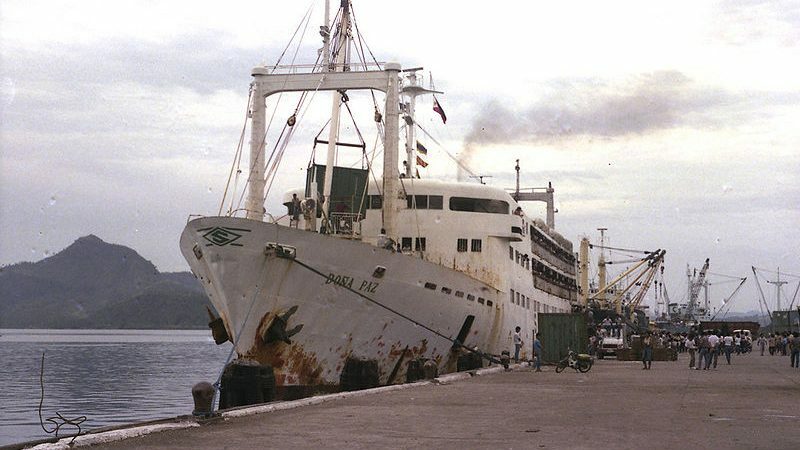 Just five days before Christmas in 1987, the passenger ship Dona Paz collided with an oil tanker off Mindoro Island in the Philippines. 4,000 passengers died in the tragedy. It was the world’s worst peacetime maritime disaster since the Titanic. Through dramatic first-hand accounts of survivors and rescuers, actual transcripts from the Philippine congressional inquiry into the tragedy, archival footage and photos and a re-enactment of the collision, Asia’s Titanic dissects how the Dona Paz tragedy unfolded. Image by lindsaybridge is licensed under the Creative Commons Attribution-Share Alike 2.0 Generic. They are some of the biggest pyramids on the planet – millions of tons of stone and earth towering above the landscape in a massive display of wealth and power. But the pharaohs didn’t build these pyramids. 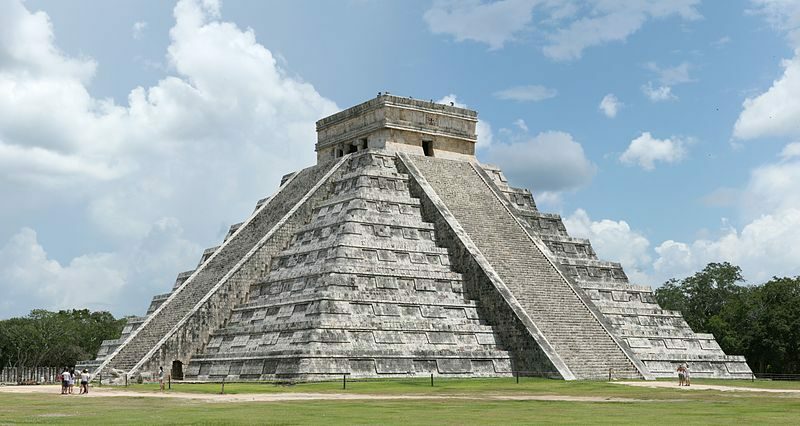 This is Mexico – and the truth is, we don’t know who built them… or why. Today, they remain as centrepieces of the majestic ancient city of Teotihuacán, the first major metropolis of the Americas. Home to one of the most powerful civilisations of its time, the city rivalled Shakespeare’s London in size and outlasted ancient Rome. So why, around 750 AD, did the advanced civilisation that created Teotihuacán suddenly vanish? 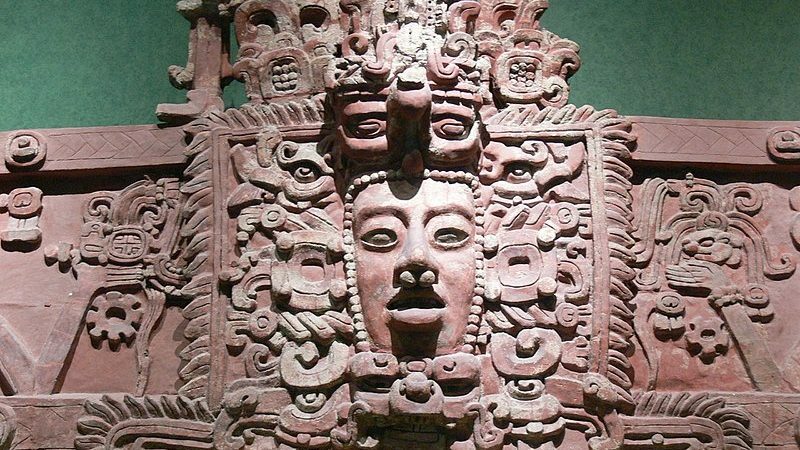 The question has puzzled mankind for centuries – and it’s just one of the many mysteries surrounding Teotihuacán. The identity of its founders, the language they spoke – even the original name of the city – are all unknown. DNA analysis of bodies from Teotihuacán shows they weren’t Mayan, Incan or Aztec, but a different civilisation entirely. With none of the macabre murals dedicated to war that are found in other cultures of Mesoamerica, it was assumed to be a peaceful, utopian society. But the latest discoveries are revealing a much darker scenario. In the depths of Teotihuacán’s pyramids, experts have uncovered vault after vault filled with curious human remains. Could these remains explain why, less than 900 years after its creation, the city was abandoned and its people wiped out? We turn to the bones for answers. Image by Daniel Schwen is licensed under the Creative Commons Attribution-Share Alike 4.0 International. The early years of Maya history had long been dismissed as a primitive era, lost in myth, before the Maya’s rise to greatness. Now, with support from National Geographic and astounding discoveries by experts in the field – several never documented on television until now – that idea is being turned on its head. Exciting excavations reveal a sophisticated Pre-classic Maya world thriving up to 2,000 years before Spanish conquistadores landed on American shores. 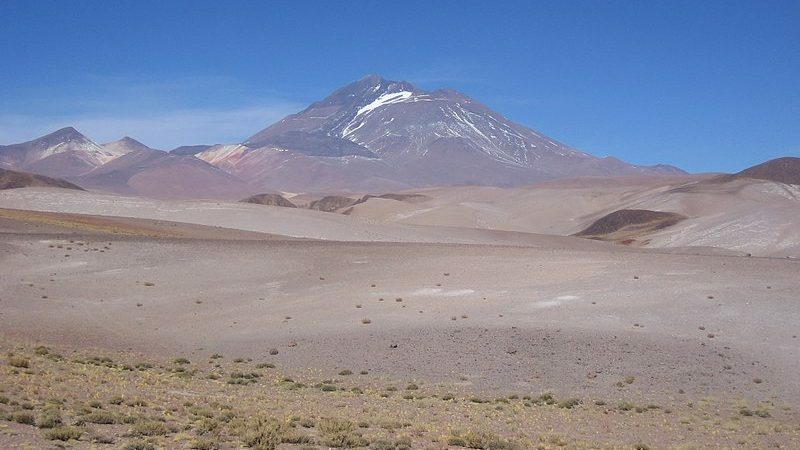 Famous high-altitude archaeologist, Johan Reinhard makes his most exciting discovery yet, three perfectly preserved Inca mummies at the top of the 22,000-foot peak of Argentina`s Mount Lullaillaco volcano. These 500-year-old mummies and the artefacts found with them hold many clues to the ancient Inca rites of human sacrifice. National Geographic`s The Ice Mummies follows Johan to the highest archaeological site in the world to witness this remarkable discovery and the painstaking process of moving these mummies down the volcano for study. INSIDE 9/11: Hour One begins to trace the road to 9/11. It attempts to distil the mosaic of people, places, ideology and events that lead up to the day through the use of specific, pivotal vignettes. This hour’s arc begins with Soviet Afghanistan, 1979 and leaves off in al Qaeda’s Afghanistan, 1996. 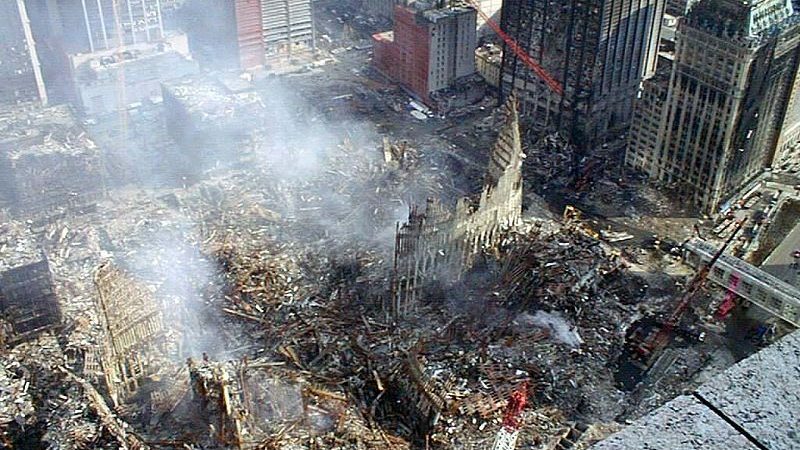 Pakistani bombmaker Ramzi Yousef was not a member of the al Qaeda, the group which executed the September 11th attack; he was the mastermind behind the first attack on the World Trade Center in 1993. His aim was to hit at the country whose policies in the Middle East angered him. Other radical Muslims shared his aim, but their beginning stretches back to 1979, when Afghan rebels, mujahedin, waged jihad, or holy war, to fend off invading Soviet troops. The jihad to save oppressed Muslims became a lightning rod for radical Muslims around the world, and outsiders who joined the jihad would appropriate the term for aims that exceeded the Afghans’ intent. Among those drawn to the region in the name of jihad was a wealthy young Saudi, Osama bin Laden. By the end of the Soviet-Afghan war, bin Laden had positioned himself as the Robin Hood of jihad. He helped develop the wider jihad network, had co-founded a group named al Qaeda, or “the base,” that would make use of this network and had usurped power from his mentor to control the network. September 2001. 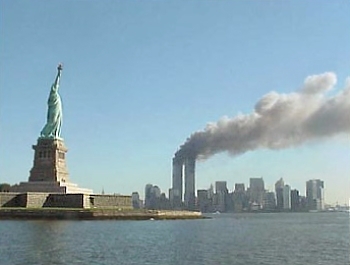 As the clock ticks down to zero hour, seemingly random and isolated events begin to coalesce and form a tapestry of what will become known as 9/11. The 1993 World Trade Center bombing. The African Embassy bombings. Black Hawk Down. The USS Cole. All orchestrated by an obscure Saudi millionaire that few Americans have even heard of – a man who has declared war on the western world from a remote base in Afghanistan. And while these attacks occur around the globe, four men gradually insinuate themselves into the western world, learning to fly aircraft, living amongst us, blending into a culture they have sworn to destroy. American intelligence knows that something is coming; they’ve monitored communications, successfully prevented some attacks, failed to identify others, and even tracked some of the men who are planning the most deadly terror assault in history – but it is too little, too late. As dawn breaks on a beautiful early September morning, the world is about to change horribly in ways only a few have dreamed possible. In INSIDE 9/11: Hour Four, the last and perhaps most intense portion of the series, begins in the midst of several crises. 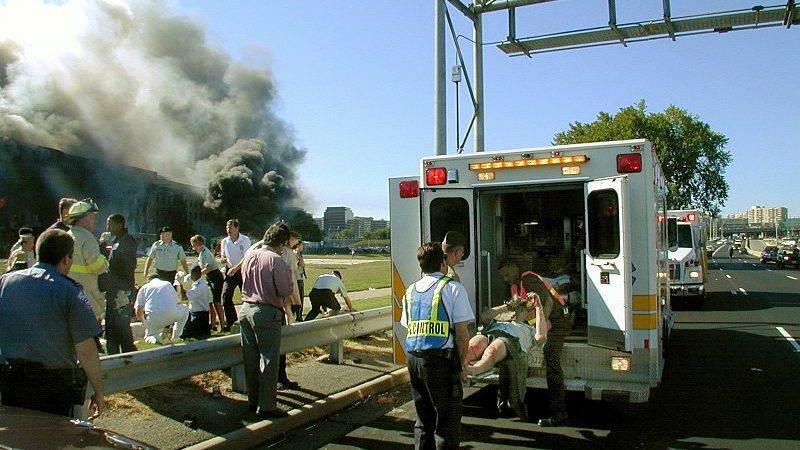 Two commercial airliners have already smashed into the Twin Towers, resulting in a treacherous rescue mission and a rising panic in New York and beyond. Meanwhile, the third team of hijackers takes control and descends on America’s centre of military power, the Pentagon. And on United Airlines Flight 93, which is headed for the nation’s capital, passengers fought hijackers for control of the plane, sacrificing their lives as they crash into a field in rural Pennsylvania, but saving hundreds of others. The hope of salvaging those trapped in the Towers diminishes when the two great buildings collapse, killing and injuring countless victims. As the day progresses, the magnitude of the destruction comes into focus, leaving Americans traumatized and rescue teams overwhelmed. And by that afternoon, U.S. intelligence has already identified al Qaeda’s culpability in the tragedy, bringing the series back to where it began: Afghanistan.